Iwé tried to find a workaround for the stupid siren in Battle of Britain for years, i wanted to be able to keep the pure setting on the server witch means no patched files could be used. I think i finally found out how to do it. Simply put a new sound file with the same name as that the one the siren uses in you game folder and it will overwrite the file thats in the BoB map. Ill attach a rar file with the setup i tested with. BoB is uniqe in this way as it has two soundfiles that is not present in sound.rfa (siren and willy horn) and because how the wrote the soundscript to fetch this files. Its very unlikely to work with any other map in bf42. 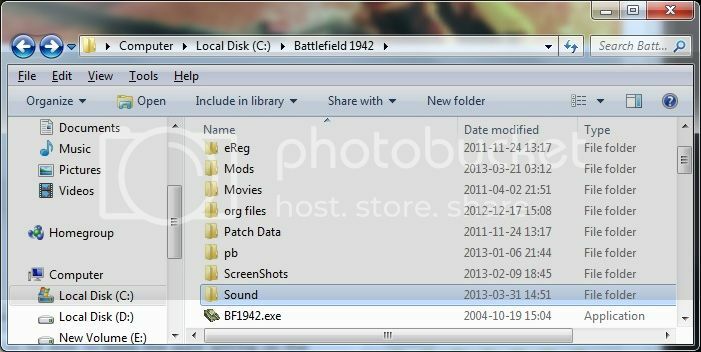 The sound folder attached includes the right pathways for the three different sound detail levels the game can produce, and have the original factory sound from sound.rfa with the correspondent compression for each level.